Here is the cover to the upcoming book published by McGraw Hill. This is the first authoritative text on traditional Sun form and structure. Nothing has been written on Sun style that matches this fundamental text. The manuscript is at the publishers as I type so it should be available very soon. Also the first DVD (of four) is nearing completion that will be a companion study aid coupled with the book. Stay tuned to the Ground Never Misses for release dates! I want to thank Andy Wilson and his crew (especially Joel for being a patient, and great training partner) at MKG for allowing me to attend a mini-seminar on Savate. 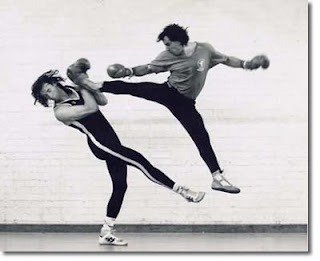 I have been interested in Savate for a while, initially attracted to its footwork and strategy. Savate, or Le Boxe Francaise, is basically a French (I know, I know...) version of kickboxing. Think of all the same hand techniques in western boxing, coupled with very unique kicks that are rather snappy from the hamstring. You strike with the toe or instep, as the shin is illegal (unlike Muay Thai). One would think this to be quite risky breaking ones toes / feet, but Savate uses special shoes that have very firm rubber soles and toes. They are quite painful to be honest, but I finally found a good use for my size 15+'s!!! Even if your opponent blocks your leg, quite often the toe can wrap around their defense and still deliver a powerfully precise kick! This was a simple introduction to generate some hype for September 18-19th, 2010 when Andy brings out Salem Assli, one of the foremost experts on Savate. Both a seminar and ranking will be provided. The kicks were not too complicated for me to perform, though I am getting too damn old to kick to the head. But trying to remember the terminology was tough as I was mixing up my kicks in combo's, but it is French for gods sake!! In the end it was one hell-of-a workout, and I really had a lot of fun! It has been eon's since I have kicked that much. Bruce Lee once told Danny Inosanto that he was watching hours and hours of Savate fighting footage on 8mm because they boxed with their feet and he admired the grace and skill in which they maneuvered. The art is new to me and I think it will make me a more well rounded striker and kicker both as a practitioner and a teacher. Kicking is amazing for both cardio and strength training, not to mention a powerful weapon to have in your arsenal for combat. 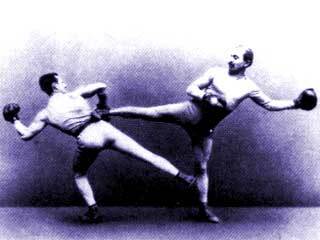 I am still skeptical on some of the kicks in Savate as far as street applicability goes, but keep in mind we have shoes on in most encounters and they hurt like a mother when used correctly. Think heels and boots ladies! DVD Review - "Fight or Flight"
One fateful evening Peter McCarthy was violently attackedwithout provocation while walking back home in his native Ireland. The attack not only left emotional scars, but also nearly cost Peter his left eye! This attack, this single act of aggression was the catalyst for a journey of self discovery and undeniable honesty with himself and the world around him. 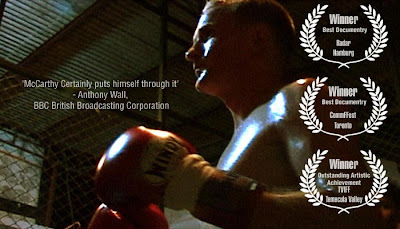 A Good Dog Film by Peter McCarthy and Shane Sutton, winner of best documentary Long Island Film Festival, "Fight or Flight." Filmed over 5 years, released in 2007, the above clip for "Fight or Flight" stumbled across my email in a drunken stupor one evening a few months back, and I must admit I was very excited to check this documentary out. Not only am I into documentaries of various sorts, but this subject matter piqued my interest, as the same questions Peter had so did many martial artists / fighters. Why do we fight? Why does violence exist? How do we face these aspects of our society? Over 78 minutes we are led on a journey throughout Thailand's various Muay Thai training camps where Peter has decided to learn the art of Muay Thai. After his assault Peter had lots of anger, which later he discovered was rooted in fear and emotional trauma he has carried much of his life. A severe falling out with his brother is also alluded to, but never elaborated upon which after viewing the whole picture, I believe was an integral part that was left out intentionally or otherwise. Upon reading an article in the paper about the kickboxing art of Muay Thai Peter decided to travel and learn to fight. Admitting honestly he was not sure what he hoped to resolve in this endeavor, only that he felt this was the right path for him. Overall "Fight or Flight" is an essay on violence and aggression within humankind. Peter discovers, via the rigorous training of Muay Thai, that he indeed harbors a lot of anger and fear of inadequacy, weakness, etc. which has led to a life of unhappiness, emptiness, and a lack of direction. Peter's expose of his emotions and his frank dissection of his being is both candid and humbling. Their is even a point in the film where Peter realizes that for most of his 20's he has walked around angry and aggressive towards society at large. Coveting these negative feelings has led to a lot of mental - emotional scarring and pain which comes out in the brutally honest world of combat sports; Muay Thai. The footage of Peters training coupled with his actual fight footage is enough to keep the average martial arts fans engaged, but do not mistake this for a fight documentary as it is not. The interviews interspersed throughout the documentary are quite insightful not only into the world of Muay Thai, but also into Buddhism and Peters involvement in it. Thailand is 90% Buddhist and Peter decides to give a silent meditation retreat a try which acts as the straw that breaks Peter's back. He breaks down and cannot finish the retreat, yet comes away from his talks with a priest with much insight into his outlook on life and forgiveness; something foreign to Peter. In the end I was left wanting a bit more from "Fight or Flight" and Peter. His insight into the world of violence, aggression, and ultimately how we deal with these primal urges was spot on but really seemed rushed to conclude the film as if there was a time limit!? But perhaps that was the point. Perhaps the viewer is not supposed to know how the story ends for Peter. Just like the martial arts, the viewer is led down a path, but ultimately the practitioner must walk the path alone and live with his/her own choices. We all must deal with the inner struggle that Peter experiences, and the answer, the result, is going to be quite different with each and everyone of us. This is the nature of life. An excellent documentary to add to your must view list as this will create conversation regardless of the company you keep. Great editing and score as well, I hope to see more from Peter McCarthy and Shane Sutton in the near future. 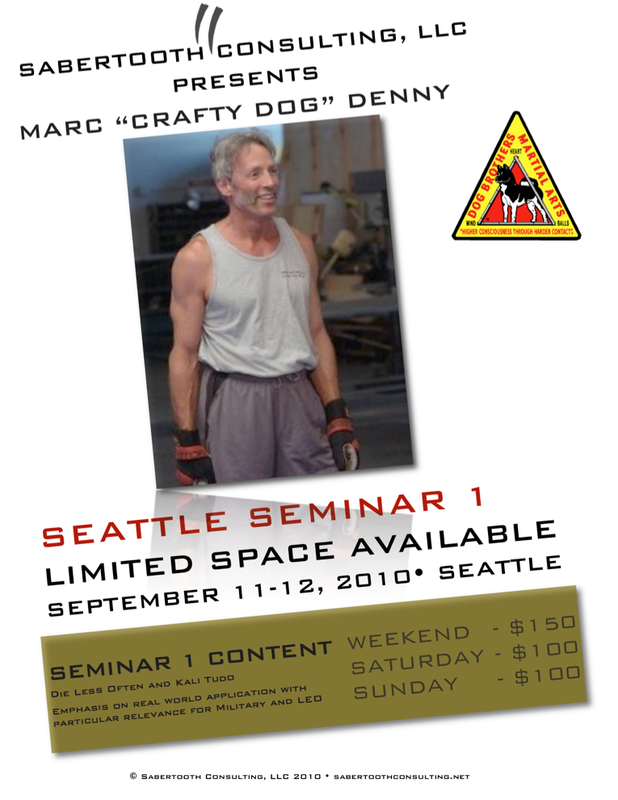 Marc "Crafty Dog" Denny will be visiting Seattle in September offering some seminars for those interested. Ran across this awesome clip this AM while trying to wake up before a busy day of teaching and training. Renzo's instruction is great. I am sad I missed him here in Seattle, but the advertising and organization of some schools is terrible! Anyhoo... Brian taught me this Necklace choke a couple weeks ago. I am not going to claim it is my money move...yet...but I have been working on it a lot from side control and switch base. Renzo's little tips make the world of difference. Try it out on your friends and loved ones this weekend. I must apologize for the lack of writing as of late. I am finally starting to kinda feel like I am caught up, but the next week or two will be busy as hell! Amidst the craziness local BJJ black belt James Foster opened his new, larger gym in Kent, WA. Unfortunately I just found out about the grand opening seminar and celebration via Steves BJJ Blog (catching up on all the old posts I missed!). I spoke with Coach Foster at the Pan Am's and he told me he was getting a new place, but I did not realize it was this close to being done. Albeit late, I would like to offer my congrats to Coach Foster and his ever growing academy! Wish I could of made it. So I made it bright and early, well... at least early. Rather gloomy day. I got their about a 1/2 hour before my sessions which were three blocks back to back. Turnout was pretty low but the enthusiasm was high. I had great groups throughout the day working on Ground Proofing, as most of the cats at this event were Karate and Kenpo practitioners. I thought this curriculum was ideal for this venue. Everyone caught on very quickly and were able to remember the details of the techniques I shared. I encouraged everyone to take what they learned back to their students, teachers, and training partners so that everyone can benefit from learning some basic skills to keep yourself safe in ground situations. From what I hear the event drew $600 for charity which is great! Hopefully next year with a little more press and exposure we can get more attendance. I want to send out a heart felt thanks to Mark Hachey who orchestrated this years shin-dig. Without him this would not have manifested. Cheers brother! Carlos Machado has release a new magazine format newsletter called The Source. 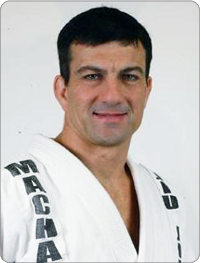 Some great insight into the teaching philosophy and attitude of the Machado family of BJJ practitioners. Bumping this to the top! Happening tomorrow so make sure to attend. I am pleased to be a part of the 2010 Martial University in Sumner, WA. this year. Martial U is where instructors from various backgrounds come together and offer a whole day of learning opportunities for local martial artists. For those seeking out deeper knowledge, or for those looking to get involved with the martial arts, this event offers the opportunity to try out various teachers and styles all the while helping out a worthy cause. All proceeds go to the families of the slain Lakewood officers. If you are not aware of the Fightworks Podcast then you are missing out on a great resource of both information and entertainment for those interested in the grappling world. 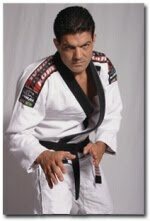 Always coming up with awesome interviews, just a few episodes back Jean Jacques Machado gave a great interview where he talks about competing, Eddie Bravo, the evolution of BJJ and a number of other things. Also check out their sister page I Compete for a comprehensive list of upcoming tournaments and seminars happening all over this hemisphere. I hope you can make it this Saturday! The human emotion of compassion is a fascinating one to me. I struggle day in and day out with having compassion, especially driving amongst Buddha's lost drivers here in Seattle! So when a documentary such as "Buddha's Lost Children" drops into my life, I am quickly reminded why Buddhist's consider this existence as one of suffering; not because of the extreme poverty of the subjects, but rather due to the fact that I have a long, long way to go to leave the wheel of Samsara! "Buddha's Lost Children" is the story of Muay Thai fighter turned monk, Abbot Phra Khru Bah Neua Chai Kositto and his Golden Horse Monastery in the remote northern province Chiang Rai in Thailand's infamous Golden Triangle. Tending to over 120 horses (mostly rescued from slaughter houses), Khru Bah has dedicated the past 15 years of his life (as of the filming in 2006) to adopting the regions orphans and castaways, giving them education, medicine, and a solid father figure in a land rife with drug addiction and poverty. Khru Bah lives by Yatomi's credo. The majority of kids in his tender do not even have the basic understanding of proper hygiene such as brushing their teeth, or washing their scalp to prevent sores. Aided by Buddhist nun Khun Ead, Khru Bah dishes out tough love on his children teaching lessons where they present themselves such as when a horse fell and nearly strangled itself in its reins. Khru Bah halted the caravan and made sure everyone had daily chores to help the ailing horse. Horses are a central character in the film as Khru Bah uses them not only for transportation, but also as a learning vehicle, "With child taking care of the horse, he learns in turn to take care of himself and others." Nine months of the year Khru Bah travels the border towns visiting the hill tribes that are for the most part shut off from society. On a complete side note it was fascinating to me to observe the various cultures and ethnicity's he ran into while visiting towns bordering Burma, Vietnam, and Laos. Anthropologically speaking a fascinating study within this context of this film. The majority of the documentary is filmed on a 100km trek to a remote village to rebuild the local Buddhist temple (Thailand is predominantly Buddhist). On this journey we are welcomed into the lives of several children at various stages of involvement with Khru Bah and his monastery, who is well known in the region! Through work, travel, and play Khru Bah teaches life lessons, hard work, and dignity. He is accepting of all, but expects discipline and diligence in everything the kids do. What originally turned me on to this film is Khru Bah's use of Muay Thai as a part of the youths learning experience. Explaining that traveling in and out of the Golden Triangle is extremely dangerous even for monks, so Bah uses his Thai boxing expertise to teach his novices how to protect themselves as well as stay in shape. Some of those in his care grow up to become professional fighters, one of the few promising careers for the poor of Thailand. "Buddha's Lost Children" is a wonderfully uplifting documentary that one cannot help but walk away feeling a little bit more hope for the lost souls of humanity. Khru Bah gives everyone a chance to make their lives better, regardless of their past. The viewer sees the importance of what Bah is doing when a mother of several children decides that her eldest son Yee has to join the monastery because she does not have enough food to feed him any longer, and the only hope for a education and positive life isvia Khru Bah. wrapped up in our luxuries quickly forgetting that the majority of the world is poverty stricken. I sometimes get down because I do not have health insurance, but then I think of Khru Bah and his novices who do not even understand the concept of health insurance! These lessons are important to keep in mind throughout our daily life, and documentaries such as "Buddha's Lost Children" serve as a beautiful vehicle for those lessons. 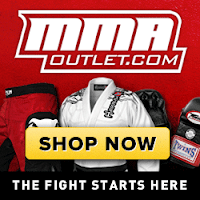 Another great match from Grapplers Quest UFC Fan Expo in Vegas... Fredson Paixao vs. Caol Uno. Great sub by Paixao! Here is an amazing showcase on BJJ / Submission wrestling. Hermes Franca vs. Bill "The Grill" Cooper at the Grapplers Quest Vegas UFC Fan Expo a couple weeks back. Stupid sick movement, defense, and fluidity! Brian Cimmin's is saying it is one of the best matches in GQ history! It must of been the good juju from the Blackhawks Gi! 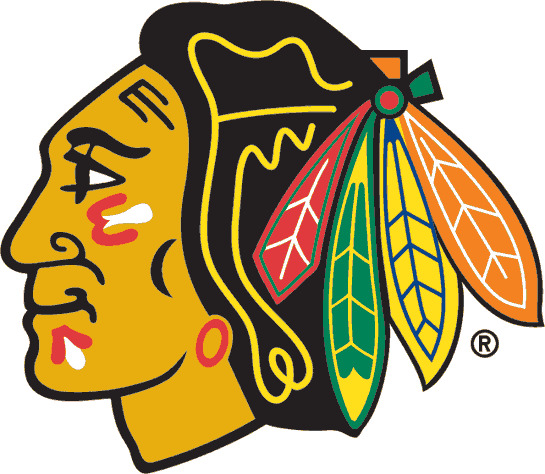 For the first time since 1961 the Chicago Blackhawks have won Lord Stanley's Cup, beating the Fliers in OT 4-3 last night! Toews walked away with the Conn Smythe though I thought Niemi or Buf should have been awarded MVP. Either way I do not care.... THE HAWKS WON IT ALL!!!!!!!!!!!!! Well earned victory for a group of kids who worked hard this year! Enjoy it while you can, next season is right around the corner! Thanks to Roy Dean for sharing this on his blog! I want to dedicate this to anyone in BJJ who ever complains about size! This proves that even the wee ones can hold their own! Here are the highlights from Cage Rage where my boy Masakazu Imanari fought Jean Silva and showed some nice grappling skills along the way. In typical Imanari fashion he finished (looked pretty bad) with an inside heel hook! Meyer & Will BJJ Seminar Seattle WA. Once again we are hosting two of BJJ's "Dirty Dozen" David Meyer & John Will, at the NW Jiu Jitsu Academy. This seminar is already selling fast so contact me ASAP to register. Well over 50 years of grappling experience represented with these two, and this is one of only two seminars offered here in North America this year! Join us for an intensive workshop on Brazilian Jiu Jitsu by two of the most sought after coaches in the world. John Will travels tirelessly doing hundreds of seminars for the worlds martial artists, government agencies, and military task forces. David Meyer is one of the most decorated competitors grappling has ever seen, and has recently written the “bible” on competing “Training For Competition.” This is one of only two seminars David and John will offer this year in North America: REGISTER NOW to save your space!! Thanks to Roy Dean for sharing these Deep 1/2 Guard Sweeps. I have been using Deep 1/2 with moderate success lately, and these give me something to add to my repertoire! Here is a nice little sweep from Rigan Machado for you all to work on this weekend. Apparently it is named the "Swamp Scott Sweep" after one of Rigan's students from the south. Fun In The Sun... Taiji That Is! Spent a beautiful weekend down in Orange County, CA. where the weather was sunny and warm with plenty of sun. Got in Sat night and though I missed the hawks game, I did see the UFC card. Yet another lame and overall unexciting event. TONS of decisions, but it was nice to see little Nog play some deep 1/2 guard in MMA! He did well with it. I traveled to LA to get in some training and help my friend and teacher Tim Cartmell do some taping for an upcoming project he has on the coals. 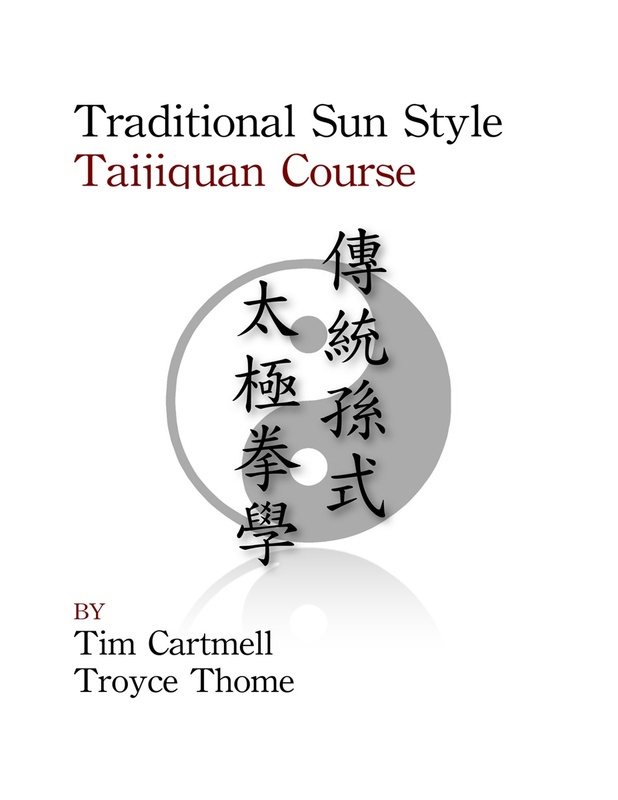 Tim and his student Troyce Thome have produced the most authentic traditional Sun Taiji book and DVD series available to date. The book will be produced by McGraw Hill Publishing, and the DVD series (four volumes) will be produced in-house as Tim's other DVD projects. Sun Taiji is one of the least known systems of Taiji and in general is poorly represented here in the west with only a handful of people teaching it. The DVD's available on the market are terrible to say the least. Practitioners have been patiently waiting for someone as knowledgeable and authoritative as Tim to produce a quality product such as this, and I am honored to be a part of it. This series will focus mostly on the form, proper postural alignment coupled with power testing, while examples of applications will be peppered throughout the instructional. The intent for these DVD's is to make available to practitioners of Sun Taiji a viable reference for traditional Sun Taiji as taught from Sun Lu Tang to his daughter Sun Jian Yun, whom in turn taught it to my teacher Tim Cartmell. I have few details as of yet other than what I have provided above. Stay tuned and I will certainly post details of where you can order these, price, and release date! I know it will be finalized in the next month or so! The weekend was great. Good to spend time with Tim. Worked Taiji all weekend long. Touched up my technique and form from the Sun, and continued working on the Zhaobao Taiji as well. Good solid stuff!